Obituary for Willie Lee Ross | Carter Funeral Homes, Inc.
Willie Lee Ross, 88, of Riverdale, Georgia and formerly of Elyria, went home to be with the Lord on Thursday, June 14, 2018 after a short illness. He was born June 11, 1930 in Rosedale, Mississippi, to the late Handy and Rachel Ross. He had resided in Elyria for many years before moving to Georgia. He was employed at Harshaw Chemical Company in Elyria until retirement. He was a Veteran, having served in the Korean War. He was a member of Red Oaks United Methodist Church in Stockbridge, Georgia and was a member of the church choir. He was an avid fisherman and enjoyed traveling, singing and spending time with his family. 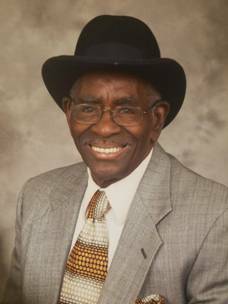 Mr. Ross is survived by his previous wife, Lavern Calhoun; his children, Maurice Brown, Jerry Ross (Lena), Dorothy Ross, Donna Ross James and Herbert Ross (Stephanie); 35 grandchildren; 70 great-grandchildren and many nieces, nephews and friends. He was preceded in death by his wives, Carolyn Davis and Willie Bell Ross; daughters, Pamela Kirk and Penelope Duval; sisters, Elizabeth Sanders, Elnora Jones, Elmira Whitfield and Rachel Hamilton and brothers, Wiley Ball, Freddie and Tommie Ross. Friends may call from 11 A.M. until time of service at 12 Noon, Saturday, June 23, 2018 at Mt. Zion Baptist Church, 632 W. River Road North, Elyria, with Pastor Kartra J. Johnson, New Jerusalem Progressive Church of God In Christ, officiating. Burial will be in Ashland Cemetery, Ashland.